No, Atal-ji Was Not Secular Or "In The Wrong Party"
Vajapayee, the most eloquent, poetic and charismatic speaker since Nehru has fallen silent. He was undoubtedly one of the best orators this country has ever heard. His command over language and his syntax and delivery were absolutely world class. His play with words mixed with wit and sarcasm was outstanding. He was able to win over his harshest critics - or make them laugh at his digs at them - with the sheer magic of his tongue. Atal-ji for me will remain the quintessential gentleman-politician, a man whose every inch was rooted in Indian-ness. He was the Ajatshatru of Indian politics. When I began my career in journalism, I was assigned to interview Atal-ji at his house on Raisina Road. I was nervous. I was shaky. I did not sleep well the previous night. I read whatever was available in The Hindustan Times library then. The Ram Mandir Movement was at its peak. The Babri Masjid had not yet been demolished. The Congress had just formed the government after the demise of Chandrashekar's government. Narasimha Rao was the Prime Minister. 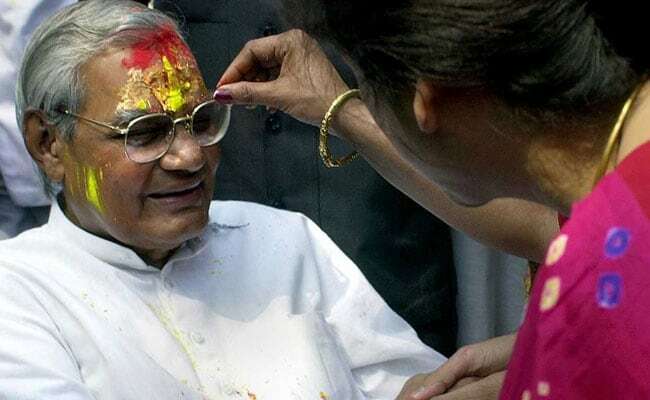 Atal-ji was marginalised in his own ideological family, of which Advani was the blue-eyed boy, the shining Hindu icon. The present generation has no idea about the aura Advani used to carry in those days. He was the master and Atal-ji was a shadow. As I reached his place, I was asked to wait in his drawing room. Within a minute, Atal-ji showed up. Before I could say a word, he said, "Accha toh aap hain (Oh, it's you)". This was my first meeting with him. "Baithiye, baithiye. Poochhiye kya poochhna hai (Please sit down, ask whatever you have in mind)". As the interview began, I could sense he was a little uncomfortable with my questions. But he did not make it obvious. Then in came a man with a tray full of sweets, samosas and tea. Atal-ji said, "Arre, Ashutoshji, sawaal-jawaab toh hote rahenge...mithai khaiye (The interview can wait, first, eat something)". I was floored. Those words are still etched in my memory. It was not just the words, but his manner - there was so much affection and spontaneity for a stranger like me. Then he ate and forced me to eat. Despite all my ideological differences, I remained an admirer of Atal-ji. He went on to become Prime Minister. Thrice, he was sworn in. The first time in 1996, when he resigned ahead of a trust vote he was sure to lose. In 1998, he was defeated on the floor of the House just by one vote; then, in 1999 when he remained in office till 2004. He was the first real non-Congress leader to become Prime Minister. Before him, Morarji Desai, Charan Singh, V P Singh, Chandrashekhar, I K Gujral and H D Deve Gowda, had all at some point been in the Congress. Atal-ji started his career as a swayamsewak of the RSS. Later, he was drafted into the Jan Sangh. Him becoming Prime Minister was in real sense a true ideological departure in Indian politics. Earlier Prime Ministers rebelled against the Congress system, joined other parties, but they were no challenge to the hegemony of the Congress as an idea. Atal-ji changed that but the Congress could not see the writing on the wall. The steps it should have taken to cement its position, the ideological reorientation needed to reshape the party was not done. It was such an intriguing omission. This was the same party which successfully changed the paradigm in the economy from the left to the right, from state control to market economy, but it was clueless about itself. It was this failing which allowed the rise of the RSS/BJP. And credit should also go to Atal-ji. If Advani was redefining the ideological mooring of the country, Atal-ji was making it acceptable. He was perceived to be a moderate who could harm none, the likeable man. He was the finest product of his time - when good-natured politics was a virtue, when voices were listened to despite differences, when people who expressed those could share the same table, crack a joke, eat together and then head back into parliament to criticise each other for the next hour. 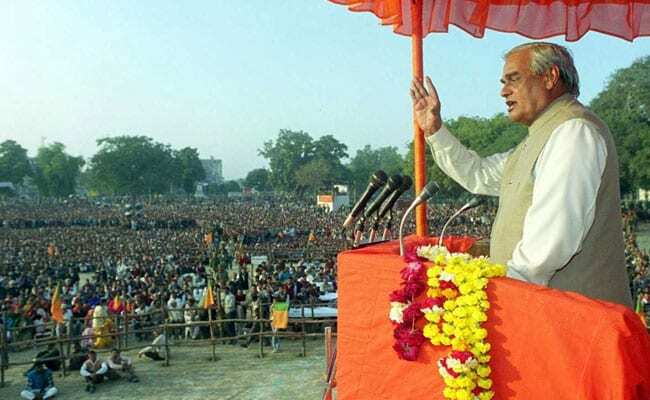 Today, it may be fashionable to be in the BJP, whose strength is at an all-time high, but in the early days of Atal-ji's political career, when the RSS was suffering from the alleged taint of Gandhi's killing, when communism was raising its head as the new world conqueror, when Nehru was the dream merchant, when Ram Manohar Lohia, the creator of anti-Congress-ism, was the darling of the opposition, to stand up in the parliament and talk about Hindutva was not easy. It was Atal-ji's silken touch which could make him acceptable to leaders and masses; and through him, the RSS could progress. 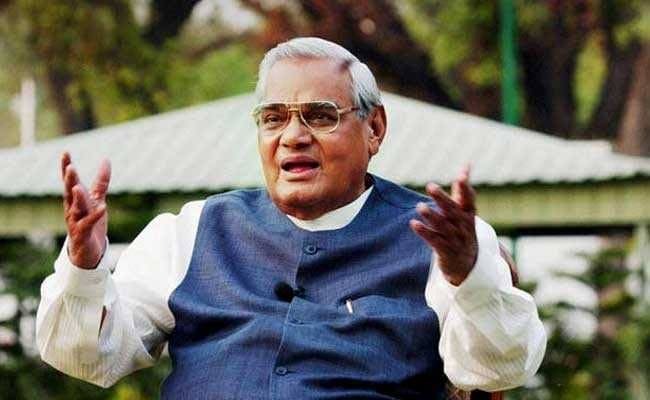 It is easy now to say that Atal-ji did not have ideological clarity, that he oscillated between the Integral Humanism of Deen Dayal Upadhyay and his own Gandhian Socialism, but it is only he and his understanding of practical politics that brought respectability to RSS and BJP. I don't subscribe to the view that he was confused or uncomfortable in BJP/RSS. He was always loyal to the core philosophy of Hindutva. 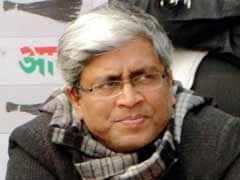 He differed with a few colleagues in his party and his mentors in RSS on the issue of how to take their ideology forward and make it palatable to all. Such differences are routine in ideological parties. I also do not agree with a few intellectuals in the country when they say that Atal-ji was secular and Nehruvian. It was also said that Atal-ji was in the wrong party. No. Atal-ji was an RSS man. He was born and brought up in that ideology. He never had any issue with the core of Hindutva. Atal-ji's softness was a great shield for the RSS/BJP. Now when Vajpayee is gone, I will never have an opportunity to ask him why did he not leave the party when Babri Masjid was demolished and why he did not sack Modi immediately after the Gujarat riots. I know the answer but would have liked to hear it from him. I would have also liked to have heard his assessment of Modi's rule since 2014. Advani is uncomfortable - that we all know; but Vajpayee's views will remain a mystery. I can only say that a man like me who was groomed in JNU, which is disparaged as a den of anti-nationals by the contemporary "gods" of Hindutva, has immense respect for the man who believed in RSS ideology and rose to Prime Minister because I am trained in democracy and carry true democratic tradition of this great civilisation called India.